Anthony grew up in Los Angeles and as a teenager became fascinated with the life of those who gang banged and hustled. He eventually joined a gang that controlled his neighborhood. His father was close friends with the legendary rapper, Tracy Morrow, famously known as Ice-T. Anthony witnessed up close crime and the things that can be acquired through this lifestyle. Now, fully aware of the street life and all of its perils, he uses his knowledge to inform others about that life in his novel. 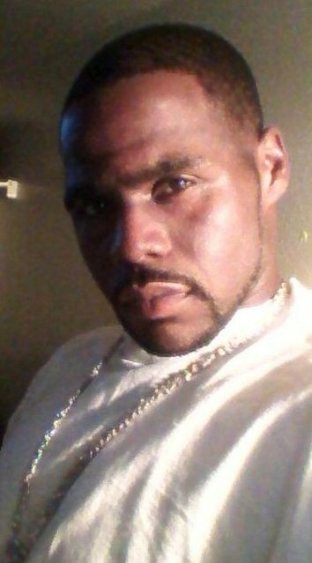 B2M: Welcome Anthony to Books2Mention Magazine. What inspired you to become involved in writing this book? ANTHONY: For one, the inspiration came from me feeling I have a story to tell from a different perception about the lifestyle that the urban novels/street lit often depicts in their novels, along with feeling there’s not many West Coast based urban novels out there and I wanted to contribute to the genera by establishing myself as a West Coast author. B2M: How was the experience creating the storyline with a co-author? ANTHONY: Now that was a great experience, especially being able to work with a co-author such as Big Tray Deee who’s part of Snoop Dogg’s multi-platinum selling group Tha Eastsidaz, who not only was fun because we was able to bounce ideas back and forth, but it was also a learning experience. Tray Deee and I are currently working on part II of Streetz Gon’ Cry in the same fashion as our debut novel was written. I would write a chapter and give it to my co-author to edit as he see fit and then we get together and discuss our following chapter and it’s a good process for the two of us, because it gives us a chance to see what’s needed and what’s not needed in the story. B2M: What obstacle has been the most challenging for you to overcome as a writer? ANTHONY: It’s been a few, but the one for me that I’m still having problems to overcome is being too self-critical of my writing and also feeling my first draft must be perfect which stagnates me from completing the project due to me keep rewriting the chapters of the first draft, so now my main thing is to just get my ideas on paper. B2M: How did your past experience influence this novel? ANTHONY: My pass experiences influenced this novel in a lot of ways due to my background and upbringing; therefore I was able to describe a mother’s worry and pain. I was able to describe that not every young black man’s goal is to become a gangbanger or drug dealer, but how you can still become part of that lifestyle and be effected, because the one’s you have are heavily involved. I was also able to weave in the lesson I have learned from my pass experiences into the novel in hopes that the younger readers can grasp hold. B2M: You are a fan of street lit, going forward how would you like to use your voice to contribute to the genre? ANTHONY: I would like to contribute to the genre by inspiring a person who is not a fan of street literature, to become a fan after reading one of my novels. B2M: What has been the response from readers? ANTHONY: Well from peers and associates we’ve been getting great feedback and the questioning of when part II is coming. We also received a five star book review from Urban Reviews along with a four star review from The Urban Book Source. We’ve been gaining great reviews and to my surprise a lot of different age groups have been said to have enjoyed the novel “Streetz Gon’ Cry”. B2M: Is there a character in Streetz Gon' Cry that you identify with the most? ANTHONY: Yes Carter, due to the fact like him, I myself was incarcerated as a teenager and have done over 10 years in prison and has also grown to have a vision that stretches far beyond the streets and what they have to offer. B2M: Can we expect to see some of these same characters in future projects? ANTHONY: Most definitely you’ll be able to see some of these characters in future projects. Matter of fact in this next project we have that is due soon is a collaborative novel titled Los Angeles Tymez; which is a string of short stories written by myself, Big Tray Deee and JDee Cooper of Da Lench Mob. I have a short story in the novel titled Streetz Gon’ Cry – The Beginnings, which have the majority of the characters including Carter before he went to prison, Johnté when he was a child and Wolf, Carter’s street mentor before he also went to prison. Big Tray Deee and myself are currently working on Streetz Gon’ Cry Part II, which will include some of the characters in Streetz Gon’ Cry the novel. B2M: What do you feel is the single most important ingredient necessary in creating stories that readers can relate to? ANTHONY: The most single ingredient necessary is allowing the readers to feel the characters and let them feel the character’s pain, joy and experiences, because that allows the reader to vision the story and what the characters go through. B2M: If you were presented with the opportunity to collaborate with another author, who would it be and why would you choose them? ANTHONY: Another author I would collaborate with is JDee Copper of Da Lench Mob, who is now an Author at Ghetto Heat Publishing, but he’s an contributing author to the title Los Angeles Tymez with a short story title Neva Saw Me Comin’, Tray Deee and I have coming out soon. JDee is a good writer with great description capabilities in his work and like me; he is also from the West Coast. So we could touch on some subjects in our novel that’s going on out this way. B2M: Anthony, we encourage you to continue writing interesting novels with entertaining characters and plots. Thanks for interviewing with Books2Mention Magazine. Please be sure to keep readers informed about all of your future endeavors.